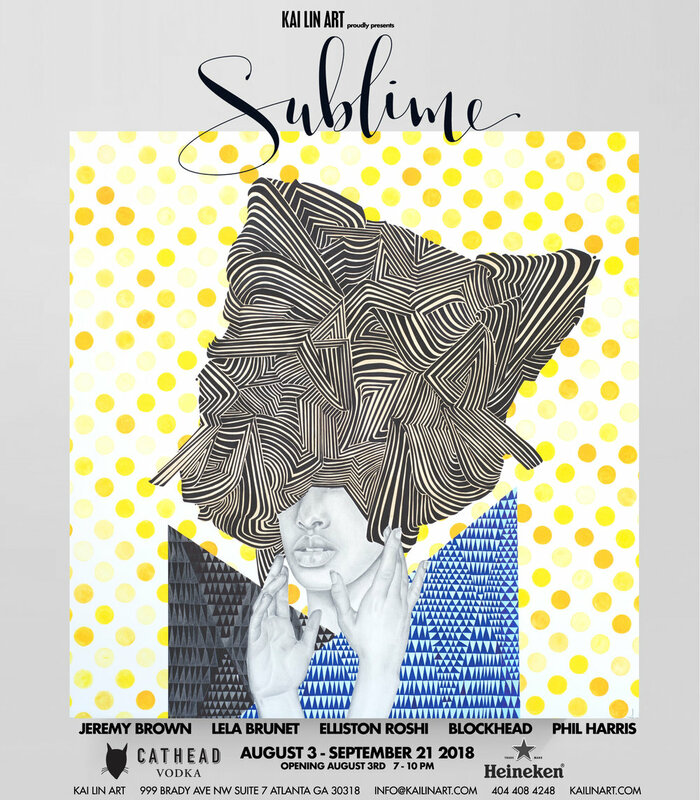 Kai Lin Art is pleased to announce the opening of SUBLIME, our sixth exhibition of 2018. 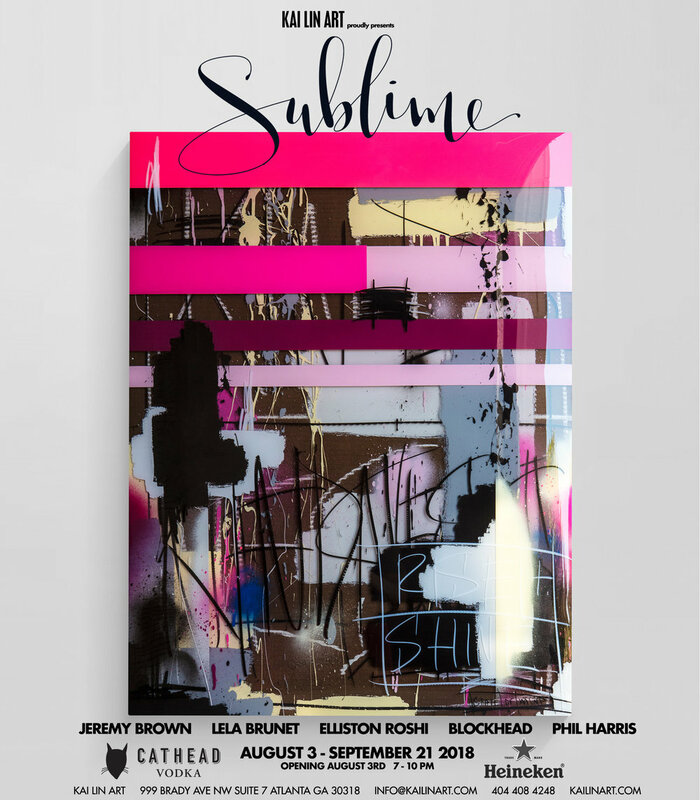 Featuring new artwork from Jeremy Brown, Lela Brunet, Elliston Roshi, Blockhead, and introducing Phil Harris, SUBLIME brings dynamic abstract paintings on resin, plexiglass, and paper into the gallery in addition to the uniquely collectible sculptures of Blockhead. Each artist has collaborated together on multiple artworks making this exhibition simply sublime.